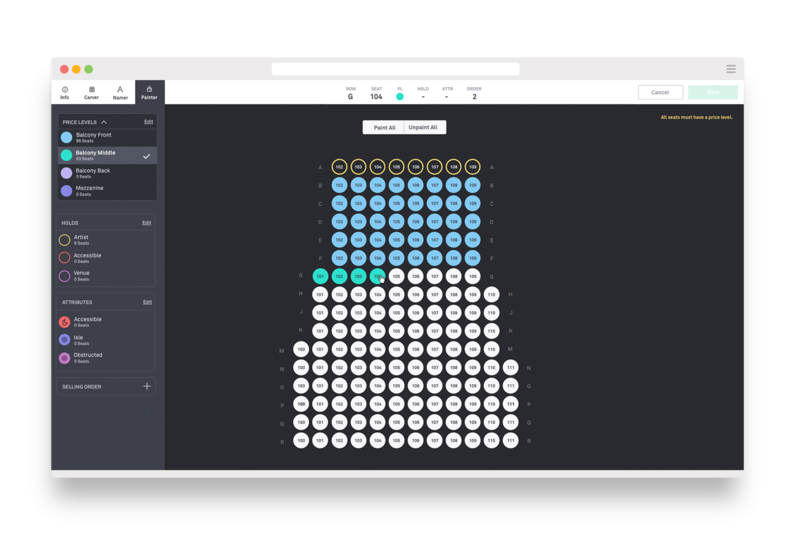 Design the foundation for a world-class reserved seating platform. 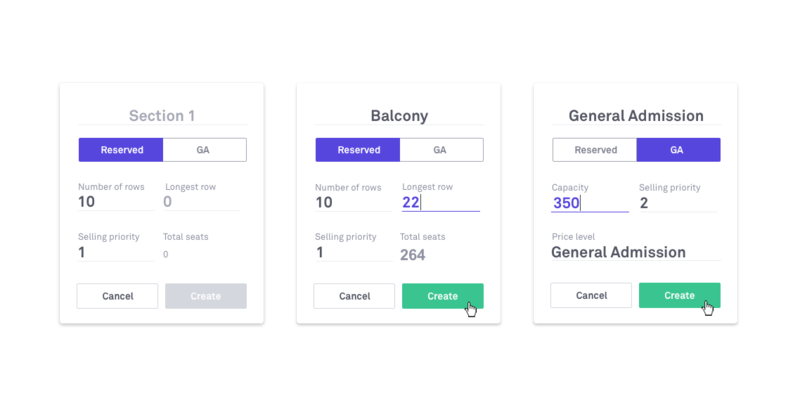 Venue Builder is the foundation to seat picking. 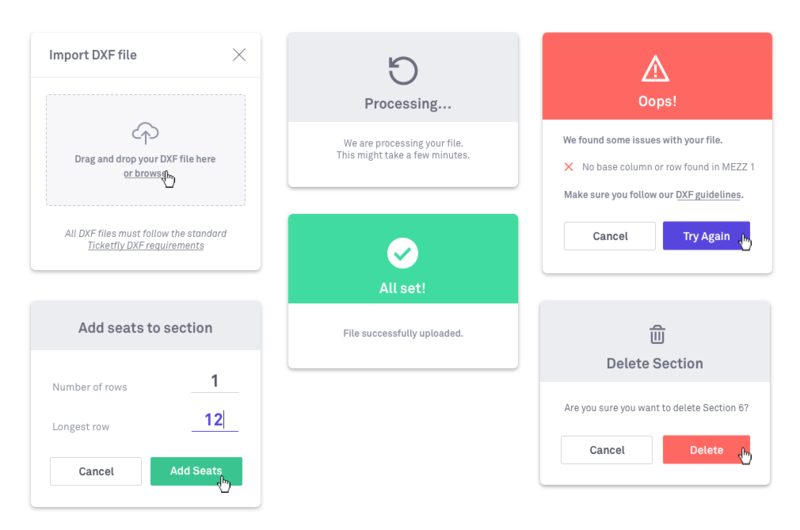 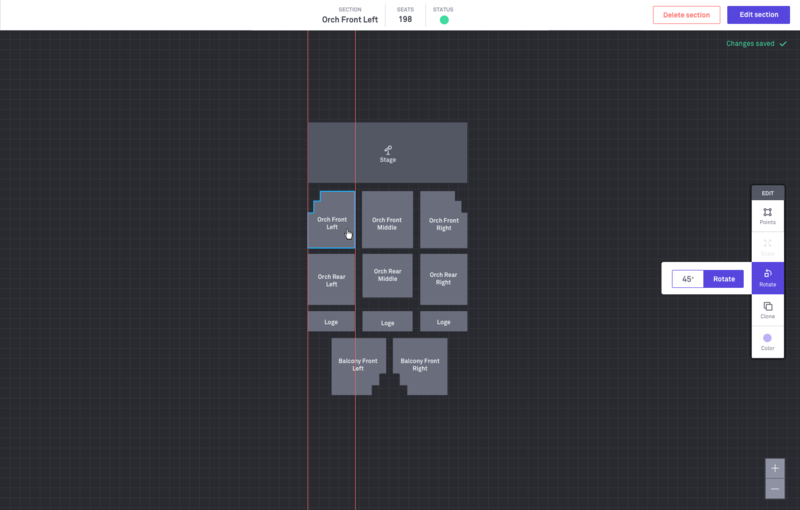 The first goal for this project was to provide a single interface to manage and create layouts for venues and events. 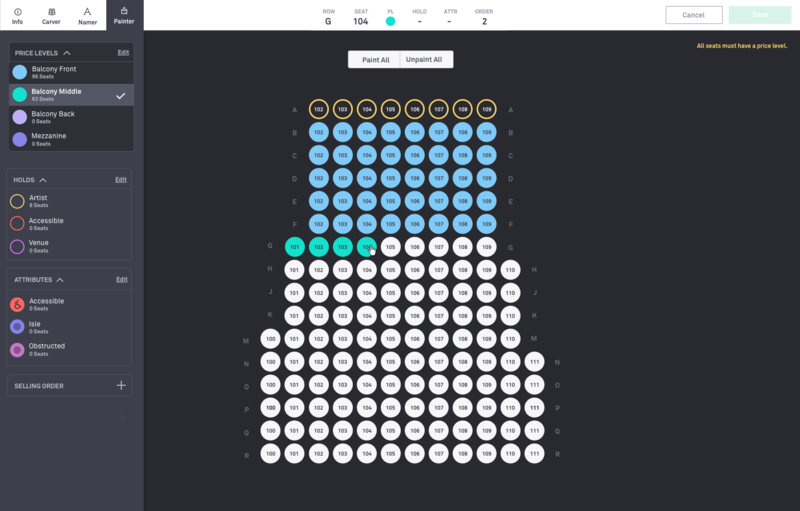 Provide as holistic view of the properties assigned to each seat. 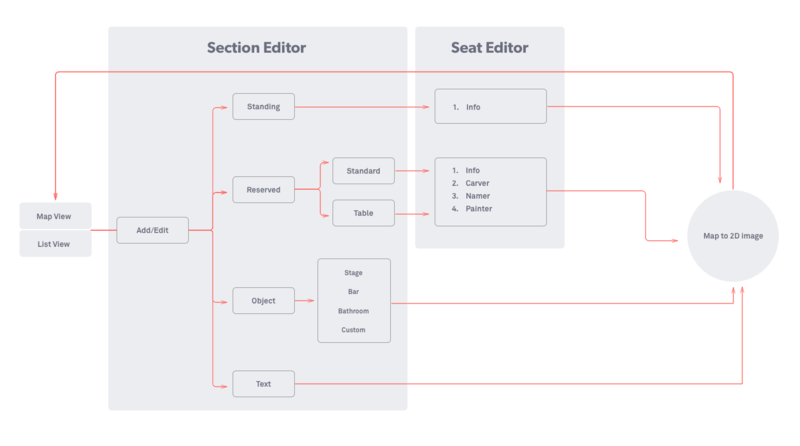 We identified two levels of interaction: The first level called "Section Editor" and the second level "Seat Editor". 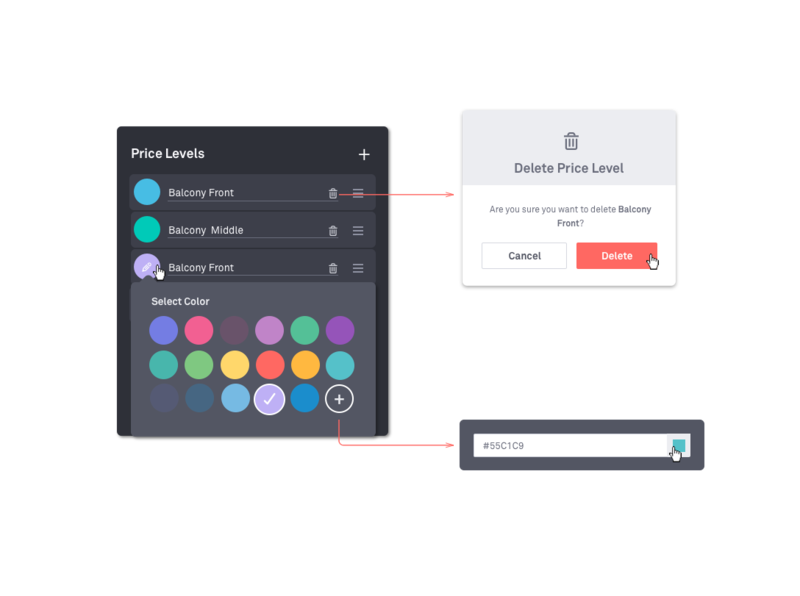 During this process we were able test different modals and identify design standards for future products. 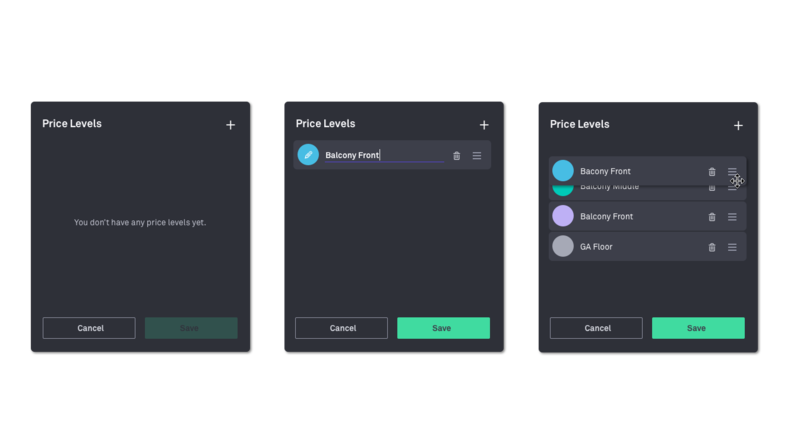 Second level of interaction "Seat Editor"